United Nations proclaimed 10th of December as Human Right Day. It is normally marked both by high-level political conferences and meetings and by cultural events and exhibitions dealing with human rights issues. 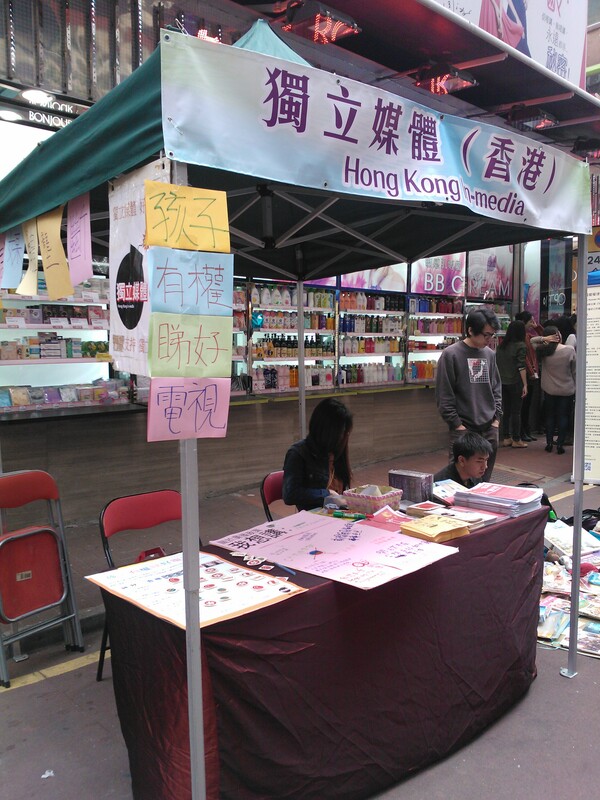 This year, local citizen societies organized a carnival and forum on 8 Dec in order to promote basic human rights to the public. 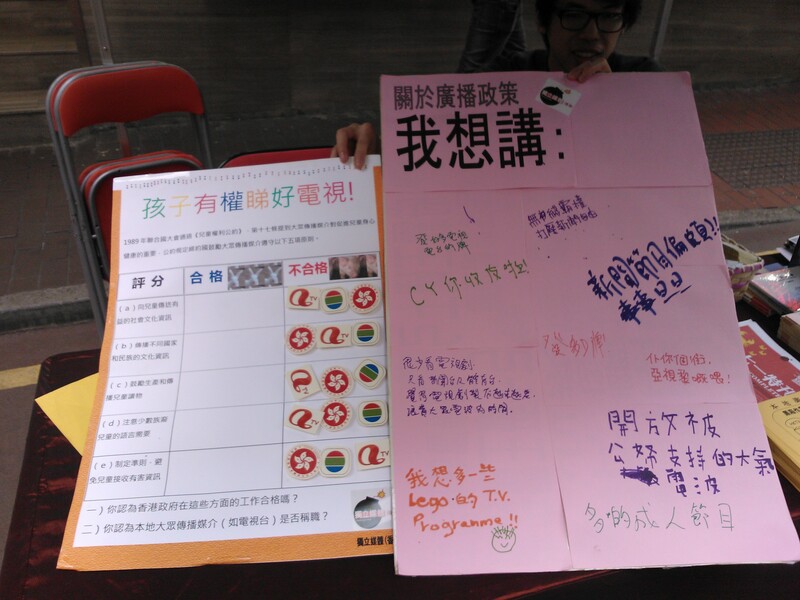 Hong Kong In-Media also participated in it and arouse public concerns on broadcasting policy. For more pictures, please go to our facebook page. 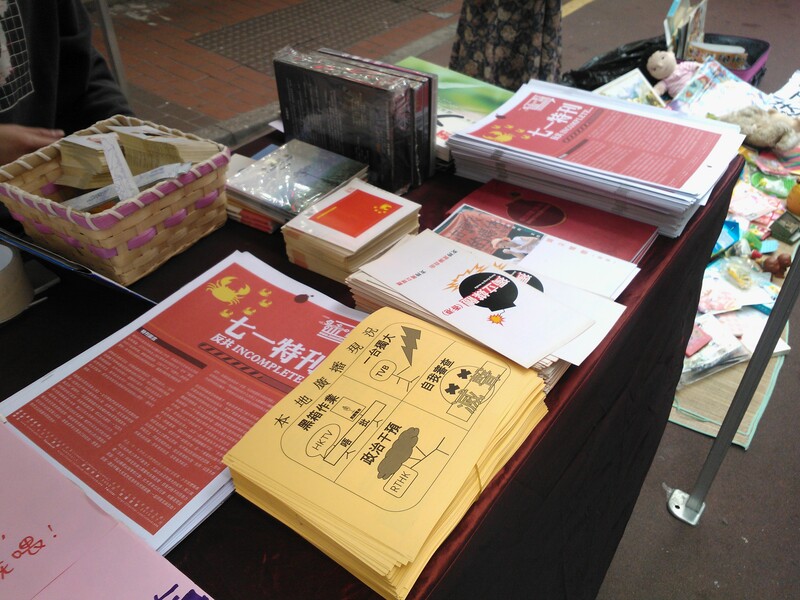 Hong Kong In=Media’s booth and leaflets.